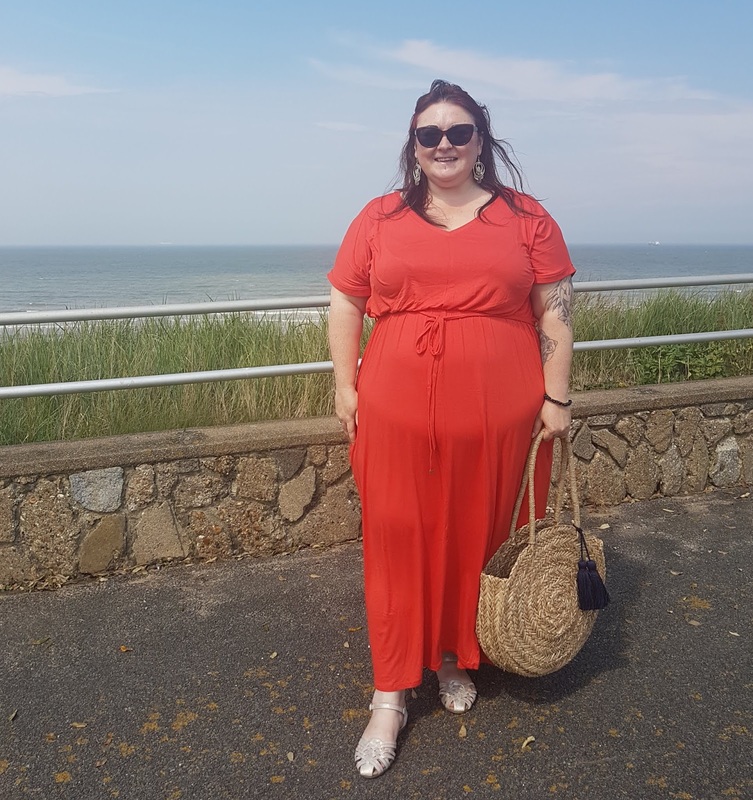 I've teamed up with Debenhams in this post to show you a holiday look. 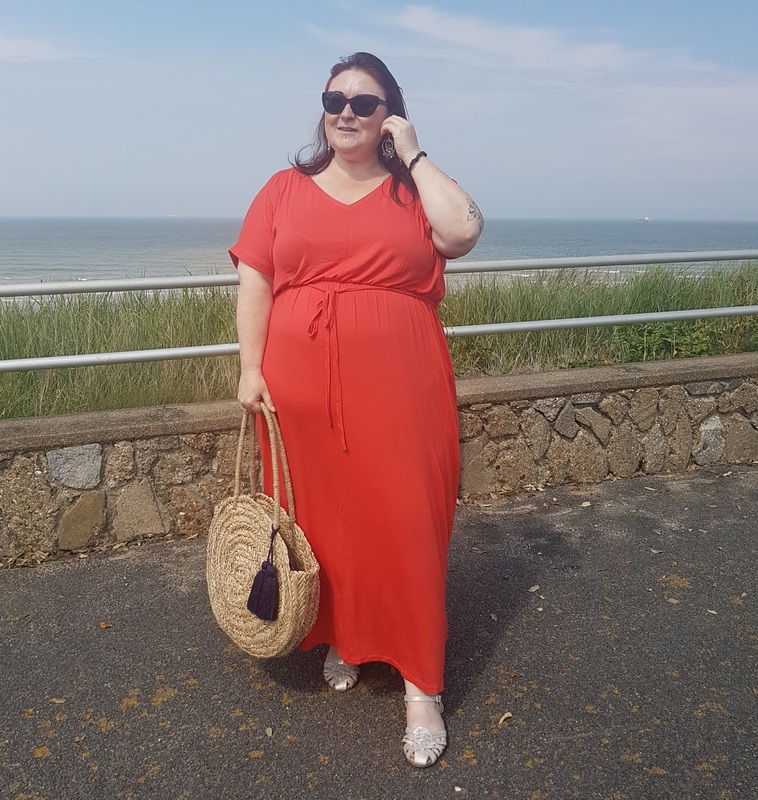 I chose a cool and airy jersey dress from Dorothy Perkins Curve to base my look around, and accessorised it with a bang-on-trend straw bag, gold sandals and some statement earrings. 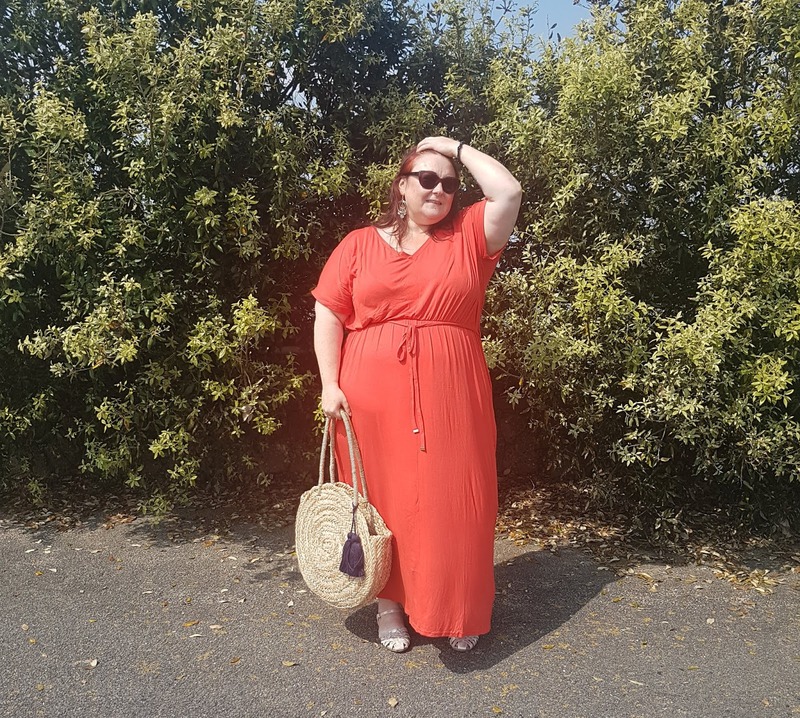 I was surprised at how many plus size dresses are on the Debenhams website, with brands such as Scarlett and Jo, Studio 8 and Evans for sale. Go buy this dress, seriously. It's so comfortable and it's under £20! 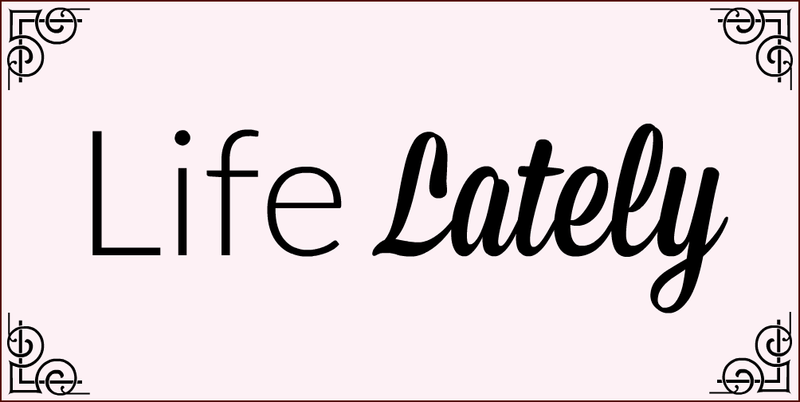 All the links are in a widget at the bottom of the page, but let's have some more pictures first, shall we? This dress is so affordable and can be dressed up for evening or down for day time. It'd look just as good with some lace up plimsolls and a denim jacket as it would strappy sandals and a sparkly clutch. 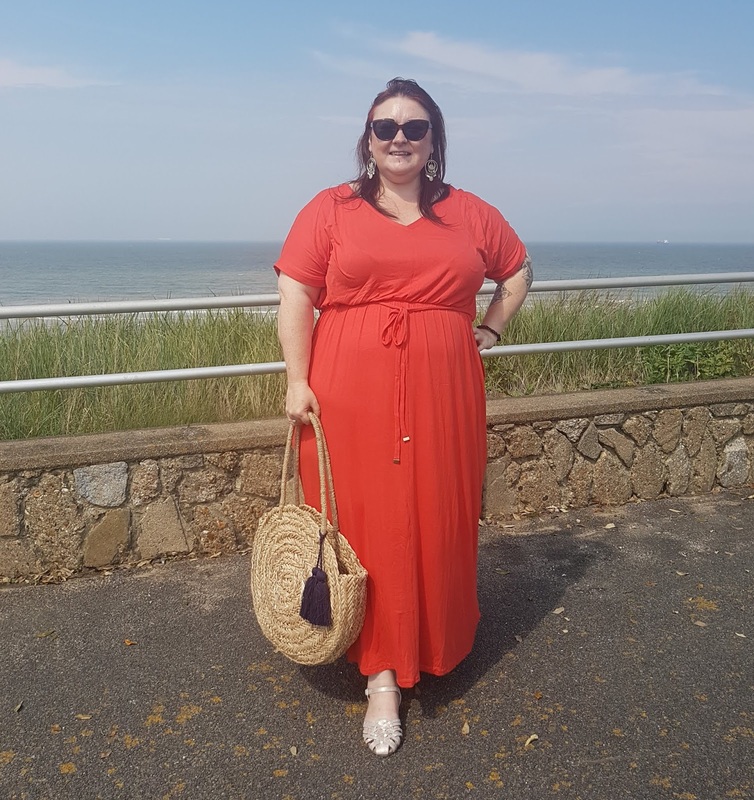 One thing to point out - the dress is described as coral but is more of a tomato red. I'm wearing a size 28 and it's true to size, perhaps even a little oversized. It comes in a bunch of other colours too - black, khaki, pink, navy etc. It's effortlessly cool - the sleeves are the perfect length and the tie waist is accented with gold hardware. I'm going to buy some in other colours, I can't help myself! Click the picture below to take you to the item. I have to agree. Definitely your style, Leah!